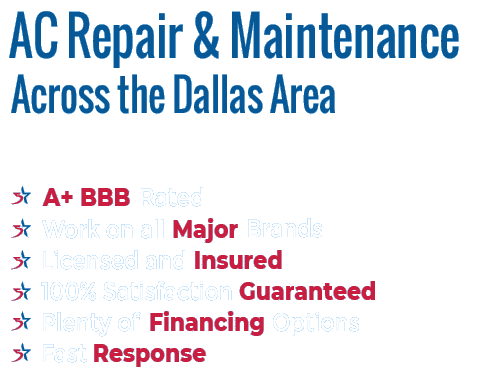 The need for reliable AC repair when living in Texas is obvious. If your residential air conditioning unit fails in the middle of the summer, your home will become uncomfortable in a matter of hours. While air conditioner repairs can be tricky work for an inexperienced team, there will be no issues when you trust 5 Star HVAC Contractors with the project. We have more than enough experience to get the job done, and we will be happy to help. We can’t fix the problem if we don’t know what the problem is, so the first step in your air conditioning repair is a diagnosis. We have a trained staff which will arrive at your property, assess the situation, and offer you a quote for the necessary work and parts. You will have the opportunity to ask any questions you may have at that time, and no work will be completed until you have signed off on the rate. Unexpected costs are a big problem with some other HVAC repair contractors, but that will not be the case with 5 Star. 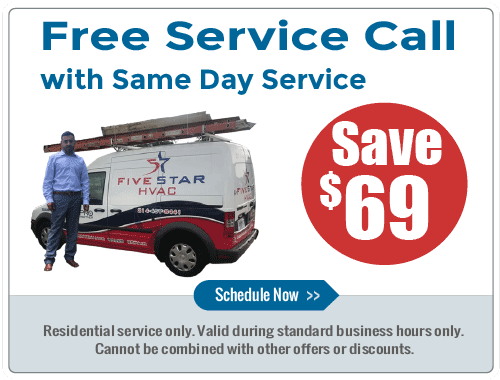 With a service call fee of only $59, you are unlikely to find a better value anywhere throughout the Rowlett area. Obviously, the process will move from diagnosis to repair once the problem is discovered. Knowing you have signed off on a flat rate for the work, you can simply sit back and let our professionals handle the rest. With 20 years of experience behind us and an in-depth knowledge of all things AC, the repair will be done correctly the first time. In most cases, it will not be long before the cool air is flowing once again. The ‘5 Star’ in our name refers to the type of service our customers can expect to enjoy when they work with our team. We know that our business would not exist without our loyal customers, which is why we pay so much attention to their needs. This starts with our availability over the phone. You shouldn’t plan on waiting long to speak with someone from our company – we will either answer right away, or we will call you back in short order. We say that customer service is our focus, and we mean it. Most people dread having to call a repair specialist of any kind because they expect to get hit with hidden fees and ridiculous charges. We simply don’t work that way. Instead, we respect our customers enough to make sure they understand and accept the cost of the parts and work that are needed. We tend to have all of the necessary equipment right on our truck to complete standard repairs without any delay, or any additional costs. In addition to offering fair and upfront prices, we also provide our customers with financing options to help deal with this surprise bill. Not everyone can handle an unexpected expense like an AC repair, which is why we are happy to make several financing options available. To learn more about this possibility, please speak with a member of our friendly staff. There are countless air conditioning systems in use at any given time in the state of Texas. These systems have to work overtime during the hot summer months, of course, as it is hard to find relief from the kind of all-day heat that fills up this part of the world. As a company which specializes in air conditioning repair, 5 Star HVAC Contractors is the smart choice to bring your AC unit back up and running in no time at all. Whether you are calling during normal business hours or in the middle of the night, we’ll be happy to help. Thank you for visiting, and we look forward to serving you!